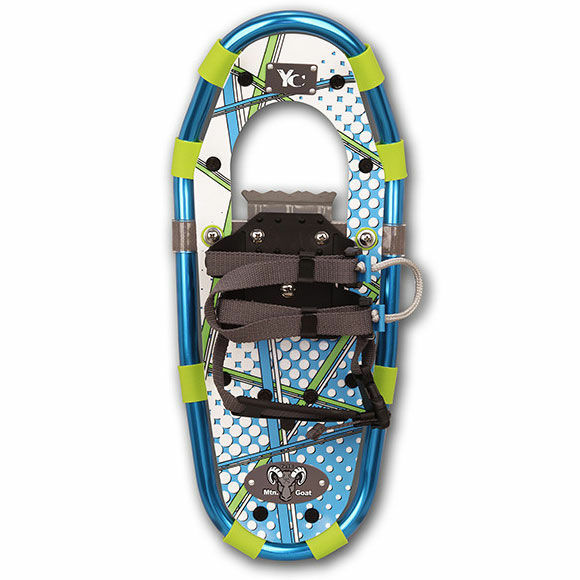 Great looking snowshoes, fit great, easy to use buckle system. 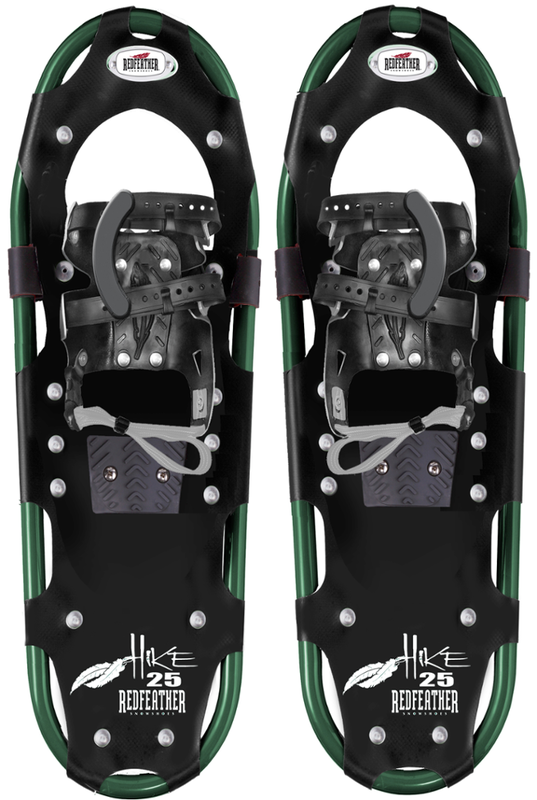 These are the 6000 series 825 model. They look awesome. The strap/buckle system is GREAT! 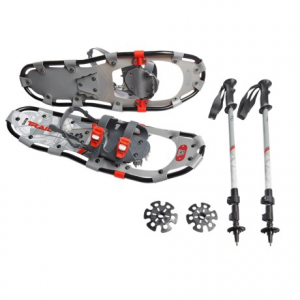 I have only used these shoes 1 time and the aluminum crampon on the bottom bent easily and I only stepped on hard ground a few times. 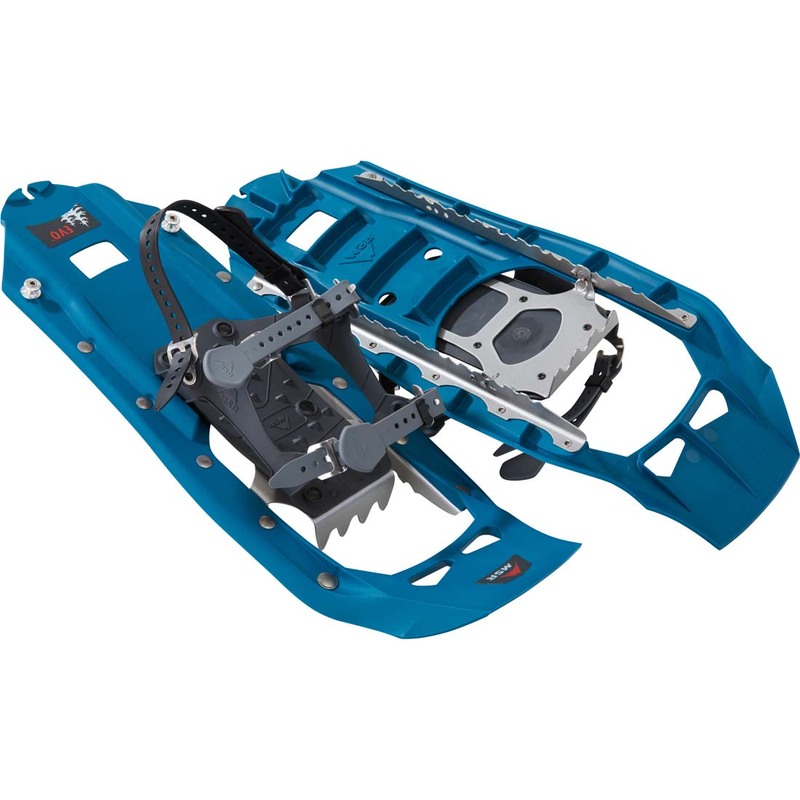 The crampons should be built much more heavy than they are. The pivot bar bushings are not going to hold up well I don't think, they already show stress and I only have a little over 3 miles on them so far. The frame of the shoes scratches very easily if you encounter rocks on your hike (but then it is only anodized aluminum). The scratching is to be expected however. Not sure how well the decking will hold up because it is made of a rigid plastic, not flexible rubber/nylon like Tubbs are made from. Overall they do work well with a few quirks. They are light weight and easy to use. We will see how well they hold up to further use. The Yukon Charlie's 6000 Series 825 is not available from the stores we monitor.